Beauty subscription boxes have been in vogue for the last few years and their ever-growing popularity has brought with them designer collaborations, limited edition edits and niche offerings. The subscription service is perfect for beauty lovers that want to try new things, however the feedback I constantly hear is that monthly boxes often contain repeat products from past boxes, products they never get around to using or simply products that are less than desirable. It is rare to find a worthwhile beauty subscription box with that certain je ne sais quoi. However I recently found just that in MINTD, the world's first luxury beauty box. As MINTD is a luxury beauty box, you'd be cray to expect to spend the usual £10.00 per month ex. postage. This beaut will set you back £65 per box - which seems like a lot, I know - however each monthly edit will be free of tiny sized, rarely-usable products... trust me. Each MINTD box contains 4-5 full sized luxury beauty products from exclusive and niche brands such as Aromatherapy Associates, Miller Harris and Sunday Riley. The products that find their way into each box are selected by in-house beauty experts that seek out innovative and high quality beauty products to ensure subscribers receive the most exclusive picks on the market. Can I get a yas kween?! 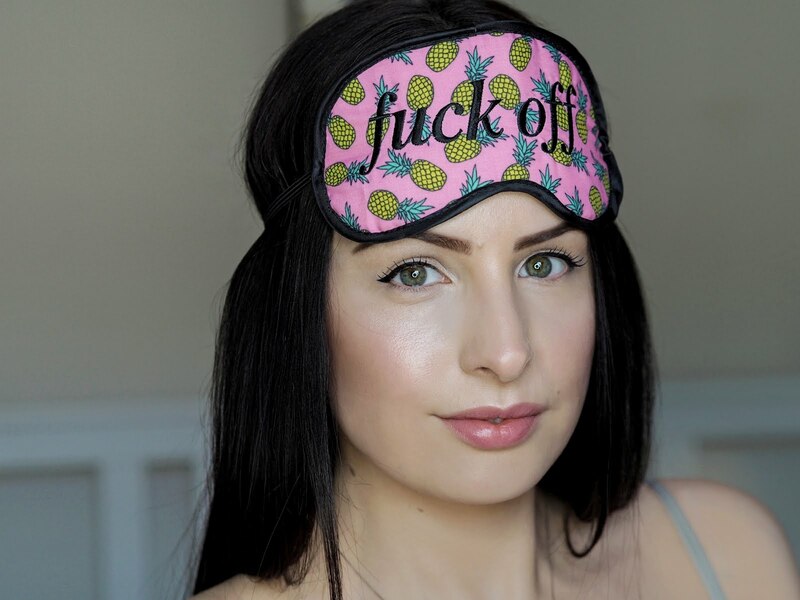 I recently got the MINTD experience by way of The Beauty Sleep Edit box. It should come as no surprise this box contains essential products that help prepare your mind, beauty and spirit for the perfect night's sleep. To get you relaxed, the box features the NEOM Organics Tranquility Scented Candle (75ml). I'm a huge fan of NEOM, so I was excited to spot a generous travel-sized candle in this edit. NEOM candles burn evenly and fill even the largest of spaces with beautiful scents - scents that stay present long after the candle has burnt out. To help you unwind further, a full-size Aromatherapy Associates Light Relax Bath & Shower Oil (50ml) is also included in the box. Much like NEOM, I'm big a fan of Aromatherapy Associates, in particular the brand's shower and bath oils. Aromatherapy Associates is one of the rare brands whose ingredients are such high quality that the scents they carry pack serious intensity. I only add two drops of oil into a bath but the fragrance that is released is overwhelming... in the most perfect way. The final wellbeing product included in The Beauty Sleep Edit box is the Supermood Beauty Sleep Sweet Pillow scent (30ml) which, as you can image, is a scent that is sprayed onto your pillow before bed. I had never heard of this brand or product before receiving this box, however after just a few nights of using this spray, I've found myself needing it each time my head is about to hit the pillow! As for skin saviours, The Beauty Sleep Edit box contains the much-loved Sunday Riley Luna (15ml). Described as a next generation retinoid oil, this premium face oil contains an advanced retinol complex that helps reduce the depth of lines and wrinkles, correct free radical damage and promote firmer and clearer skin. Luna is lightweight and fast-absorbing for an oil. However my favourite thing about this infamous oil is that I only have to use it once to see an improvement in my skin! The final beauty-sleep-booster included in this box is the amazing Omorovicza Midnight Radiance Mask (15ml), a salicylic acid overnight gel-mask that has you waking up with one gorgeous glow. It has a thick, gel-like consistency that feels wonderfully cooling on the skin and absorbs quickly. As you sleep, the Omorovicza Midnight Radiance Mask gently exfoliates the skin whilst promoting cell renewal and fighting hyperpigmentation. It has now become my go-to product when my skin is in need of a serious pick-me-up! Overall this box is pretty dope. It is full of products I would naturally lust over and the total value of everything inside comes to £166, making that £65 monthly investment feel a little less daunting. What's even better is that you can get the MINTD box as a bi-monthly subscription if money is on the tight side.